In 1993, a relatively unknown psychotherapist from Birmingham, Alabama, self-published a spiritual adventure novel with an intriguing title: The Celestine Prophecy. James Redfield and his partner-wife, Salle, then peddled it to bookstores throughout the South, giving a copy to any bookseller who would agree to read it. The word of mouth quickly spread, and the Redfields sold 100,000 copies before Warner Books picked it up and made it the best-selling American book in the world in 1995 and 1996. Today there are more than 12 million copies of The Celestine Prophecy in print in more than 50 languages around the world. A decade later, in March 2004, the principal filming of The Celestine Prophecy began in the tropical forest of Washington Oaks State Gardens, south of St. Augustine, Florida. Directed by Armand Mastrioanni from a screenplay cowritten by James Redfield and Emmy-nominated producer Barnet Bain, the film dramatically brings the Nine Insights from printed page to silver screen. This making-of-the-movie book documents this astonishing achievement and takes you inside the imagination of the remarkable people who came together to fulfill James Redfield's ultimate vision. From preproduction to the final wrap and editing, here are the producers, the director, actors, and crew caught in the moviemaking process. 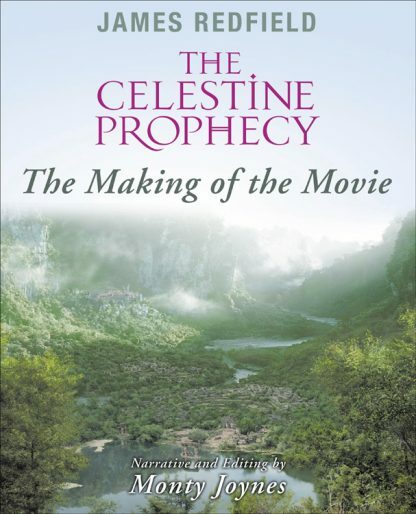 Lavishly illustrated with more than 160 full-color photos, The Celestine Prophecy: The Making of the Movie features production stills, production design artwork, and frames from the movie. Here, too, is a narrative not only of the journey from book to film, but also of the heroic quest that John, played by Matthew Settle, takes for us and with us. On one level, it is a riveting adventure story fraught with danger and suspense. On another level, it is a spiritual journey with the power to transform. Just as the novel�s Nine Insights ignited a worldwide dialog about spiritual awareness and the evolutionary future of humanity, the film is certain to reignite and expand that dialog to a whole new audience. James Redfield is the author of The Celestine Prophecy and ten additional books that include The Tenth Insight and The Secret of Shambhala as sequels to his phenomenal first novel. He is the co-author with Barnet Bain of The Celestine Prophecy film script, and he was also a principal producer involved in every aspect of the making of the movie. Monty Joynes is a novelist and screenwriter. He was the narrative author and photo editor of The Celestine Prophecy: The Making of the Movie in 2005. Monty is best known for his four novels in the Booker Series (Naked Into The Night, Lost In Las Vegas, Save The Good Seed, and Dead Water Rites), which deals with Anglo entry into the culture and metaphysics of contemporary American Indians. Monty has written and edited professionally in magazine and book publishing for more than 35 years. He also has writer-director credits in two short films, and he has written four feature-length screenplays currently with producers.